A wide range of over the counter sleep aids are available to help you get a good night’s rest. This article takes a look at different brands of sleeping pills and other sleep aids, providing a guide to some of the most popular sleep products out there. If you’ve ever had difficulty sleeping, then you’ll know the difference it makes to your life. From experience, you will know that even one night of poor sleep affects your alertness and mood the next day. But the impact of bad sleep extends further than this. Over time, a lack of sleep is linked to serious health problems including heart disease and strokes. Poor sleep has even been linked to weight gain and obesity. So let’s take a look at some tried and tested sleeping aids. This guide gives a quick introduction to some popular sleep aids, including how they work, their active ingredients, and which brands are available. One of the most popular sleeping pill brands available is Nytol. Nytol One-a-night tablets contain an antihistamine called diphenhydramine hydrochloride. The antihistamine blocks histamine, a chemical that stimulates arousal areas in the brain. The effect is reduced alertness, which promotes the drowsiness that leads to sleep. Once in that first stage of sleep, most people drift off into a restful deeper sleep. Another popular brand is Sominex. Sominex Tablets contain the active ingredient promethazine, which is a type of medicine called a sedating antihistamine. Promethazine causes drowsiness, and is helpful for the temporary relief of sleeping difficulties, for example if you have difficulty going to sleep or staying asleep because of disturbances to your normal routine. Although sleeping pills are seen as the go-to option by some people, they should only be used on a short-term basis. If you are unsure about using sleeping pills, always consult your doctor. Herbal sleep remedies can be highly effective to promote a good night’s rest. A wide range of products use traditional herbal ingredients to promote the relaxation and drowsiness that leads to good sleep. Valerian is one of the best known herbal sleep remedies, and Nytol Herbal Simply Sleep tablets contain a high dose (385mg) of valerian extract. Nytol Herbal Tablets also contain valerian, as well as hop and passion flower extracts. Valerian, hops, and passion flower are all long-standing traditional remedies known to soothe, induce calm, and promote sleep. If your sleep is disturbed by anxiety, Nytol Herbal Simply Sleep and Calm Elixir could also be an option. This product is a liquid that contains valerian, as well as a number of other ingredients with calming properties including liquorice liquid extract, orange oil, lemon oil, coriander oil, anise oil, and ethanol. Kalms also produce herbal sleeping remedies that use valerian root, including Kalms Night Tablets (valerian root extract 96mg) and Kalms One-a-night Tablets (valerian root extract 385mg). A great way to promote relaxation and get you in a sleepy mood is by using air sprays that contain ingredients such as lavender. Puressentiel Rest & Relax Air Spray is a natural air spray designed to help create peaceful, serene, and restful nights. It contains 12 essential oils which promote soothing and comforting properties: true lavender, Asia rosewood, Roman camomile, cypress, lemongrass, mandarin, marjoram, neroli, orange, palmarosa, petitgrain, and sandalwood. Mindful Beauty Lavender Aromatherapy Pillow Mist is another air spray designed to promote a restful night’s sleep. This spray contains lavender and German chamomile and can be sprayed on your pillow to help you relax and aid sleep. A common reason for interrupted sleep is breathing problems from a blocked nose. Breathe Right Nasal Strips gently open your nasal passages helping you to breathe better by providing temporary relief from nasal congestion and stuffiness which can be caused by colds and allergies. They work by using flexible spring-like bands that when placed across the nose, gently open the nasal passages to make breathing easier. Mute Nasal Dilators are another treatment for blocked noses that cause problems for your sleep. A number of factors besides blocked noses can cause snoring, so different treatments may be appropriate depending on the reason for your snoring. Anti-snoring sprays such as Nytol Anti-Snoring Spray, Snooreze Throat Spray, and Helps Stop Snoring Spray are popular options. Nytol Anti-Snoring Spray contains an ingredient called phosphatidylcholine, which coats your throat muscles and prevents them moving and vibrating. Snooreze Throat Spray contains peppermint oil to improve airflow and tone the tissues, Vitamin E and Sodium Hyaluronate to moisturise and tone the throat tissues for added comfort, and Xanthan Gum to lubricate the throat. Helps Stop Snoring works by lubricating and toning throat tissues with essential oils, reducing the vibrations that can cause snoring. Another option to prevent snoring is Good Night Anti Snoring Ring. Worn on the little finger, this ring puts light pressure on two acupressure points to clear the wearer's airways. Sleep can easily be disrupted by noise, and for many people, simply wearing earplugs can make it a lot easier to get off to sleep and avoid sleep interruptions. This is especially the case if you live in a busy urban environment, work night shifts, or live near a noisy road or noisy neighbours. Earplugs are available in a range of materials. Quies Wax Earplugs are made of pure wax. Noise-X Wax Earplugs are made of wax and cotton. Hush Plugz are made of silicone. Earplugs made of foam are available from Medisure, Noise-X, and Safe & Sound. Just as noise can have a negative effect on sleep, light can also cause sleep problems. If you are staying in a bedroom without good curtains or blinds, eye masks are an easy solution to aid a better night’s sleep by keeping the light out. Few people can fall asleep immediately, and for most people, winding down is an important part of getting a good night’s sleep. Having a bath or shower before sleep can aid relaxation, and you can get additional benefits from using relaxing bath salts and body washes. Puressential Rest & Relax Bath Shower contains 12 essential oils to aid relaxation, including orange peel oil and lavender oil. Luma Medicated Bath Salts is decades old formulation designed to help relax tired muscles, reduce tension, and encourage restful sleep. 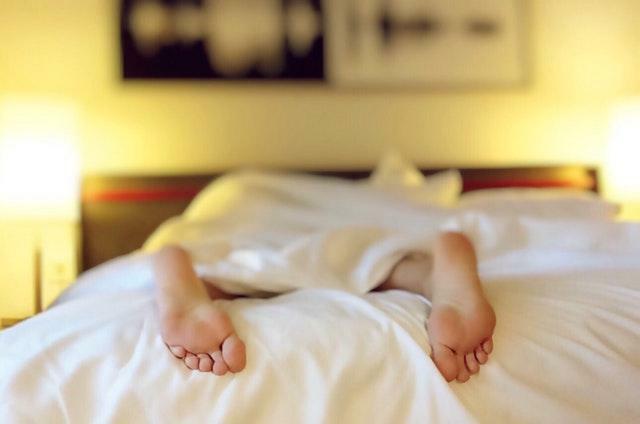 We’ve taken a look at some different sleep aids and remedies, but it’s important to remember that lifestyle has a major impact on sleep. Many people can get a better night’s rest by making simple changes to their daily habits. One common bad sleep habit is having too much caffeine. The caffeine in tea, coffee, and even chocolate can take hours to leave your system. For this reason, many people sleep better when they cut back their caffeine intake throughout the day and especially in the evening. Another habit that can stop you sleeping is using smartphones, laptops, and TVs at night. The blue light that devices omit tricks the brain into thinking it is still daytime, and this can have a negative effect on sleep. Check your devices’ light settings to see if you can make it emit a warmer colour light in the evening. If you can’t change the light colour settings on your device, you can download apps to do this. You may be surprised to learn that alcohol can also have a negative effect on sleep. The age-old idea of a night-cap to help you drift off is appealing for many people. While it is true that alcohol can make you feel drowsy at first, alcohol also reduces the quality of your sleep, meaning that your body will not get the best sort of rest. There are a whole range of products available to help you sleep. Sleeping pills can be effective as a short-term solution, but must not be used for extended periods of time. If you struggle with sleep on a regular basis, you should consult your doctor for advice. Make sure you cut back on bad sleep habits, and try some of the above products to help you drift off to a restful night’s sleep.